AB 1595, Cook. Vehicles: recreational off-highway vehicles. AB 1595 defines recreational off-highway vehicles as being manufactured to operate off highways, feature a steering control mechanism or wheel and offer non-straddle seating surfaces for occupants. These vehicles are designed to travel faster than 30 miles per hour. The minimum age to operate a recreational off-highway vehicle is set at 16, unless a parent or authorized adult supervises the youngster. Operators and passengers must wear safety helmets and seatbelts. 38600. 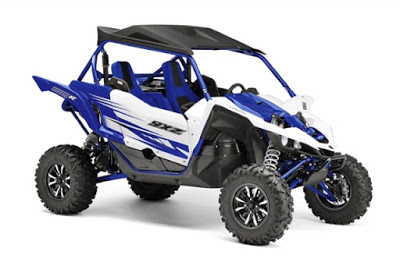 A person operating a recreational off-highway vehicle shall be at least 16 years of age, or be directly supervised in the vehicle by a parent or guardian or by an adult authorized by the parent or guardian. 38601. A person shall not operate, or allow a passenger in, a recreational off-highway vehicle unless the person and the passenger are wearing safety helmets meeting the requirements established for motorcycles and motorized bicycles pursuant to Section 27802. 38602. A person operating, and any passenger in, a recreational off-highway vehicle shall wear a seatbelt and shoulder belt or safety harness that is properly fastened when the vehicle is in motion. 38603. A person operating a recreational off-highway vehicle shall not allow a passenger to occupy a separate seat location not designed and provided by the manufacturer for a passenger. 38604. A person operating a recreational off-highway vehicle shall not ride with a passenger, unless the passenger, while seated upright with his or her back against the seatback with both feet flat on the floorboard, can grasp the occupant handhold with the seatbelt and shoulder belt or safety harness properly fastened.